Romeo and Juliet and the Enormous Knockers opens tonight! We’re SOOOOO excited! Television stations from all around the world want to talk about our little theatre company. Of course, as members of the Elizabeth Street Players, we’re delighted! It’s just what Theodore P. Davenport himself, founder of the Theodore P. Davenport Centre for the Performing Arts would have hoped for. Unfortunately, Stony Flat Bay, home to the TPDCPA as we like to call our little theatre, doesn’t show up on Google Earth, so no-one can find us. Unless you count Emma Carlin, who’s starring with Rush Hailstone, Hollywood’s most eligible bachelor, in a world tour of Romeo and Juliet. Or Tully Tanner, their agent, and agent to half the Hollywood A List. Or Yuri. You know, Yuri Petrov…Yuri Petrov McConner, internationally renowned director? The one Earnest and Margaret have brought to Stony Flat Bay to direct Romeo and Juliet in the TPDCPA? He was the start of it all. Well, it’s a bit complicated, but if you come to see Theatre Onset’s production of Romeo and Juliet and the Enormous Knockers all will be revealed. Opening Friday night, 26th of April! 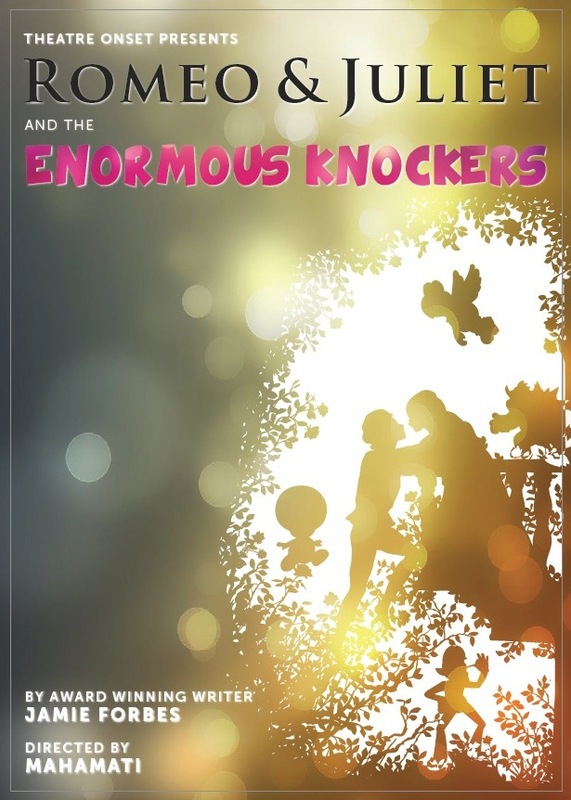 Bookings now open for Romeo and Juliet and The Enormous Knockers! This show sounds AWESOME! Where can I book? I’m glad you asked. Just go to this handy little website here: www.trybooking.com/COJV and follow the prompts. If you have any difficulties, call 6492 4928 and we can sort them out for you. If you’re feeling lucky, tickets will also be available at the door (if there are still some available). Prices are $20 for adults, $15 for concession and members. Friday April 26th at 7.30pm, Saturday April 27th at 7.30pm, Thursday May 2nd, Friday May 3rd and Saturday May 4th all at 7.30pm, and Sunday May 5th at 3.00pm. Refreshments may or may not be served, as long as they comply with all Health and Safety regulations.